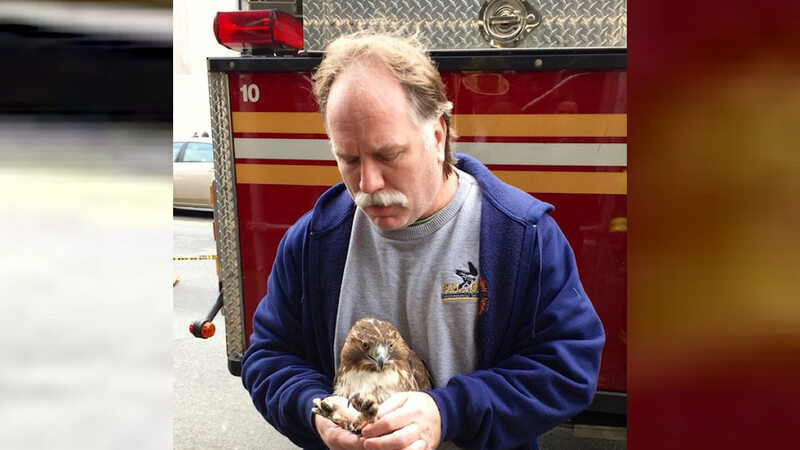 MANHATTAN (WABC) -- The FDNY came to the rescue of an injured red-tailed hawk in Manhattan Thursday. It happened on Canal Street. Licensed wildlife rehabilitator and FDNY Firefighter Robert Horvath went up in Ladder 1 to rescue the bird from a third floor apartment air conditioner unit. Using a long net, Horwath managed to safely capture the hawk and bring it down to the ground safely. Now the animal will be rehabilitated and hopefully released back into the wild.